CapitaLand marks topping out of Raffles City Chongqing with structural completion of one of the world’s highest sky bridges Mall within megastructure to open by 2H 2019 with 450 shops, including flagship stores of China retail icons – NIO, CGV, Yanjiyou and Ole’. Project design by world-famous architect Moshe Safdie, based in Boston, MA, USA. 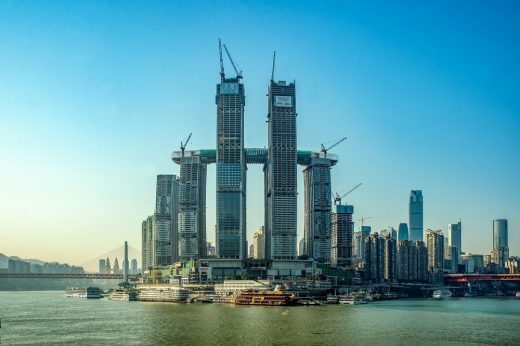 Singapore, 25 February 2019 – CapitaLand has successfully topped out the eighth and final skyscraper of Raffles City Chongqing as the Group enters the final lap of preparation works to open the highly anticipated 1.12-million-square-metre (sq m) megastructure in 2H 2019. 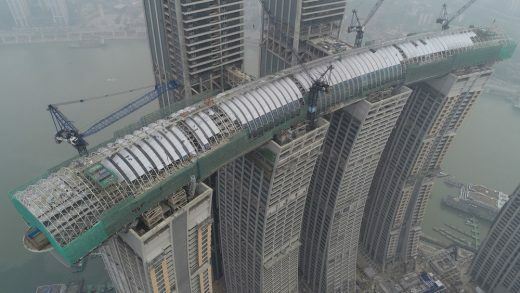 This achievement follows the structural completion of the development’s 250-m-high sky bridge – The Crystal, which enjoys the distinction as the world’s highest sky bridge linking six of Raffles City Chongqing’s eight skyscrapers. 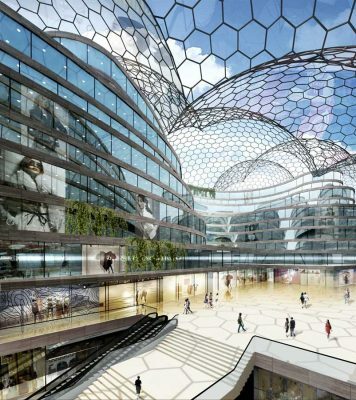 Anchor retail tenants committed to date include Chinese electric vehicle company NIO, which will open its largest NIO House in Chongqing at Raffles City. More than just a showroom, the 1,500-sq m NIO House also serves as an exclusive clubhouse for NIO car owners. 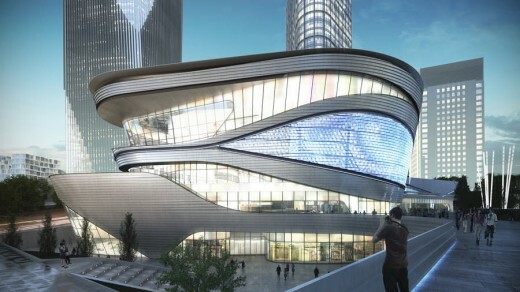 Leading movie theatre chain CGV will operate its national flagship at Raffles City Chongqing. Spanning a massive 5,600 sq m, the multiplex will feature state-of-the-art screens with superior sound quality. 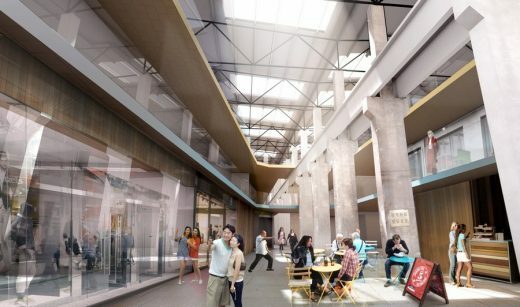 Popular bookstore chain Yanjiyou will open a regional flagship at the mall, packed with a lifestyle café and other creative and experiential offerings catering to bibliophiles. In addition, well-known purveyor of fine foods Ole’ will operate a gourmet supermarket with a food hall serving a wide range of fresh produce and international specialties. 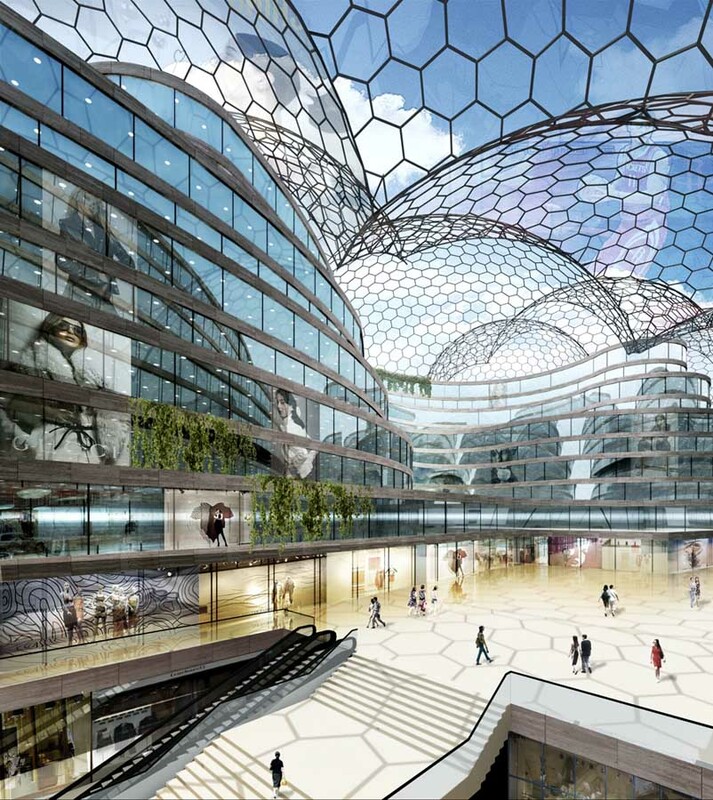 Occupying 9.2 hectares of site area, Raffles City Chongqing brings together a 235,000-sq m shopping mall, 150,000-sq m of Grade A office space, about 1,400 residential apartments, Ascott Raffles City Chongqing serviced residence and InterContinental Raffles City Chongqing hotel. It has a total construction floor area of 1.12 million sq m and gross floor area (excluding car park) of about 817,000 sq m. The development is strategically located on Chaotianmen at the confluence of Yangtze and Jialing rivers in Yuzhong District. 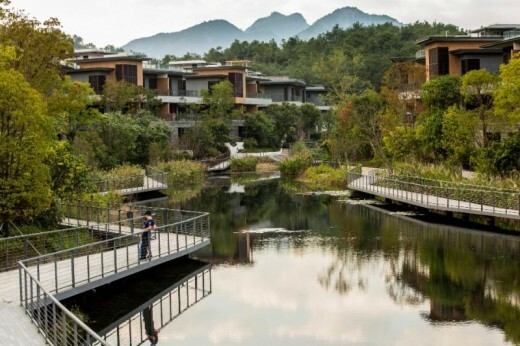 It is also sited at the nexus of three Central Business Districts, namely Jiefangbei, Jiangbeizui and Danzishi. Raffles City Chongqing comprises eight skyscrapers. 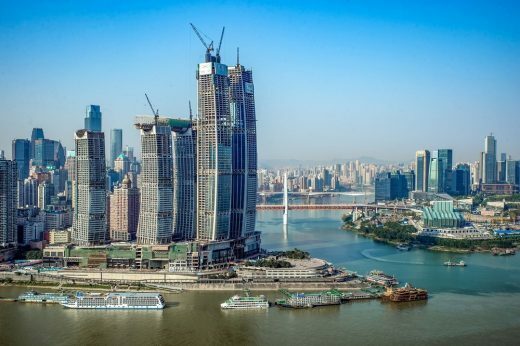 Two of these are 350-m-high supertall skyscrapers known as Chongqing’s tallest buildings; one of which also holds the honour of China’s tallest residential tower. The other six skyscrapers are about 250 m tall each. Known as Raffles City Chongqing’s ninth “horizontal skyscraper”, The Crystal is an enclosed sky bridge nestled above four of the 250-m-tall skyscrapers and links two adjacent skyscrapers by cantilevered bridges. Measuring 300 m in length, 32.5 m in width and 26.5 m in height, it is the world’s highest sky bridge linking the most number of towers. Designed by worldrenowned architect Moshe Safdie, Raffles City Chongqing’s form is inspired by the historic images of great Chinese sailing vessels and pays tribute to Chongqing’s noble past as a trading centre. Raffles City Chongqing has received an Honourable Distinction for the China Tall Building Innovation Award. 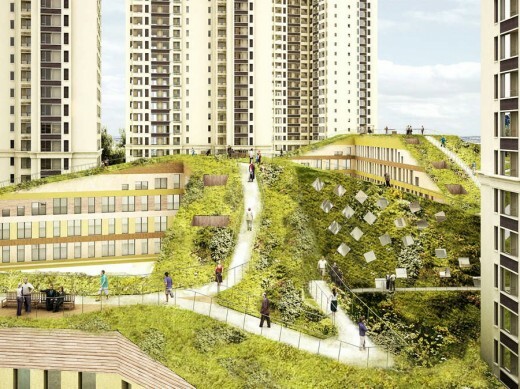 It is also Chongqing city’s largest development to be accorded the LEEDCS pre-certification (Gold Level) by the United States Green Building Council, which recognises best-in-class building strategies and practices. Known as Raffles City Chongqing’s crowning glory and the development’s ninth “horizontal skyscraper”, The Crystal is an enclosed sky bridge nestled above four 250-m-tall skyscrapers and links two adjacent towers by cantilevered bridges. Measuring 300 m in length, 32.5 m in width and 26.5 m in height, it is the world’s highest sky bridge linking the most number of towers. 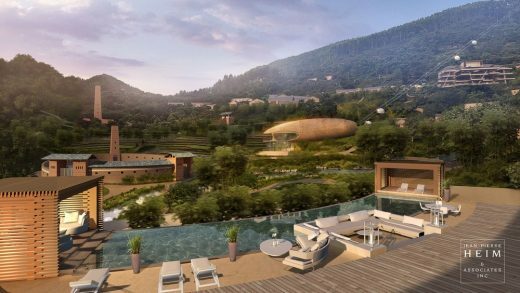 Envisaged as the centre of civic activities where locals and visitors from around the world converge in Chongqing, The Crystal houses a rich array of amenities, including a viewing gallery, lush gardens, an infinity pool and restaurants. When darkness falls, it transforms into a giant light beam, illuminating the night sky with a pulsating light show. To ensure the public’s year-round enjoyment of The Crystal’s facilities, design provisions such as air-conditioning, have also been catered for. The Crystal is made up of a continuous steel structure weighing 12,000 tons and enclosed with a ring comprising about 3,000 pieces of glass panels and close to 5,000 aluminium panels. To erect efficiently, the steel structure is first divided into nine segments – four segments that are built in-situ above the four towers; three middle segments suspended between the four towers that are prefabricated on ground and hoisted into place by hydraulic strand jacks; and two cantilever segments that are assembled in short sections from the two ends of the rightmost and leftmost towers. Hoisting the three middle steel segments of The Crystal – each weighing up to 1,100 tons – to the designated height of 250 m marks a world first. Fun facts 1) At 300 m long, The Crystal is longer than Singapore’s tallest building laid on its side. This is also more than three times the height of the Statue of Liberty in the United States, which measures 93 m, laid on its side. 2) The Crystal’s continuous steel structure weighing 12,000 tons is equivalent to the total weight of France’s Eiffel Tower. 3) The Crystal will be home to close to 120 trees, which will measure about 9 m in height when they have matured. 4) The Crystal houses two pools – a 50 m x 8 m main pool and an adjoining 10 m x 8 m children’s pool. Description: An integrated development with eight towers comprising: – a 73-storey residential tower; – a 65-storey office-and-hotel tower; – two 47-storey residential towers; – two 46-storey residential towers; – a 43-storey office-and-serviced residence tower; – a 40-storey office tower; and – an enclosed sky bridge nestled above four of the towers and links two adjacent towers by cantilevered bridges. It measures 300 m in length, 32.5 m in width and 26.5 m in height. Sitting below these towers are: – a 5-storey shopping mall (L1 to L5) with an open-access roof garden; – a lower ground level comprising a bus terminal and a visitor centre; and – 3 levels of basement car park (B1 to B3). 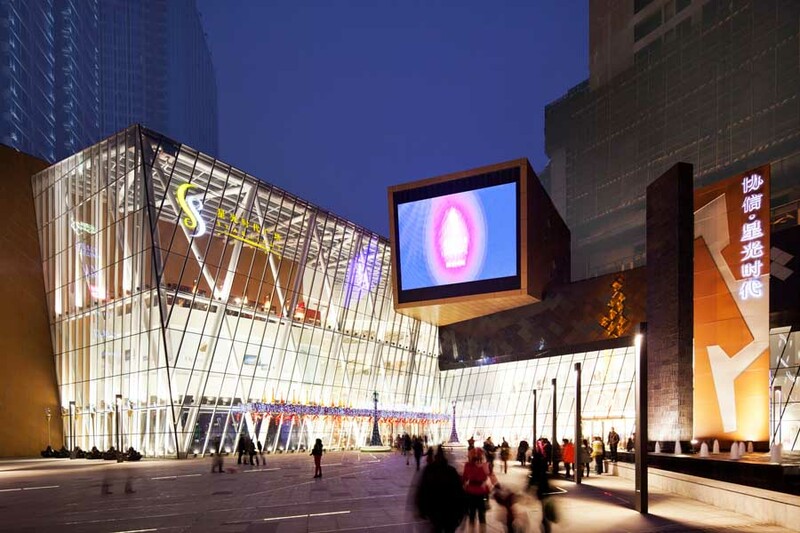 Arup International Consultants (Shanghai) Co, Ltd.